This Narrative Pantomime Activity, The Apple Orchard, is one that I like to use with my Pre-K and K students. 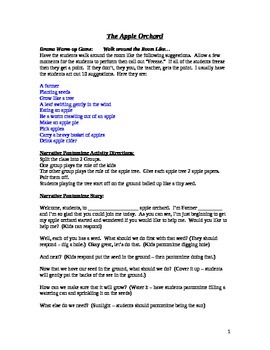 I provide you with a Drama warm-up, the Narrative Story of The Apple Orchard, and a Drama pantomime game at the end. A great Fall activity!